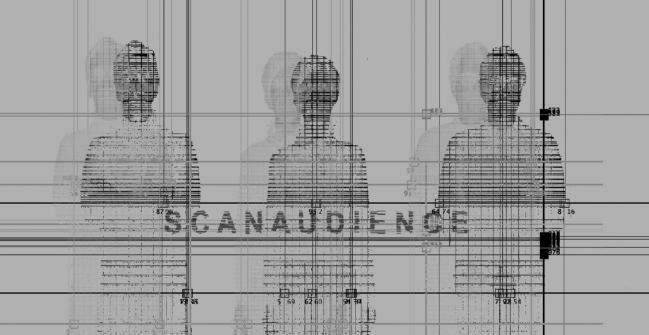 ScanAudience is a site-specific audio/video performance based on the realtime scanning of the spectators themselves, attending this interactive show. The project developedby Gianluca Sibaldi and the duo SCHNITT ( Marco Monfardini and Amelie Duchow ) uses a specially by the artists developed electronic device: a scanner able to "read" any object, architecture or living being in its formal elements, translating the object's outer and inner dimensionin sound and video images. A bar of light is the primary tool in this operation of realtime scanning, overpassing in several sequencesthe audience , analyzing the characteristics related to people’sbody shape, height, clothing color and material. 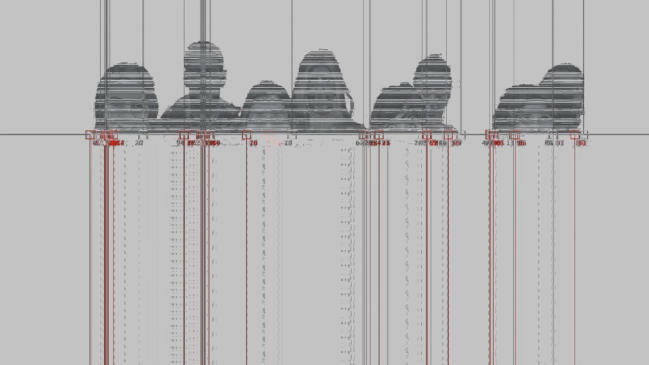 The scanning process develops with a sequenceof slow vertical and horizontal scannings, memorizing the basic data informations, continuing with detail and intense scanning sequences, the beamed light passes through the audience. Each persongenerates their own individual sound and video images. The scanning process begins with beaming a very low speed structured light on the subject. It’srecaptured by an high resolution sensor, while a network of five computersare processing the captured light and elaborating the scanned data in realtime. The software has been especially developedby the artists: it is based on computer vision algorithms and a special kind of neural network to generate both visual and audible results. 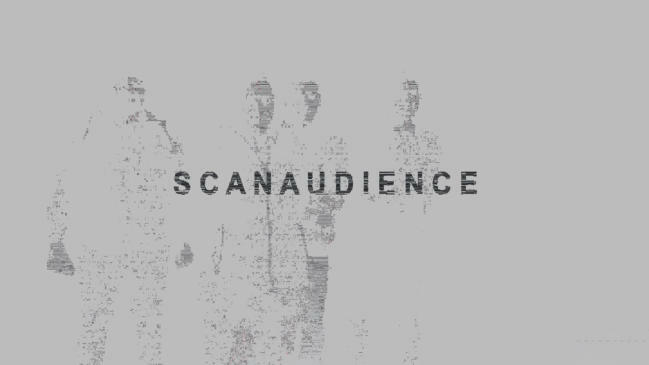 ScanAudience is a performance in which the audience becomesthe protagonist of the show, but at the same time experiencinga new sonorousand visual dimension under the artists direction.